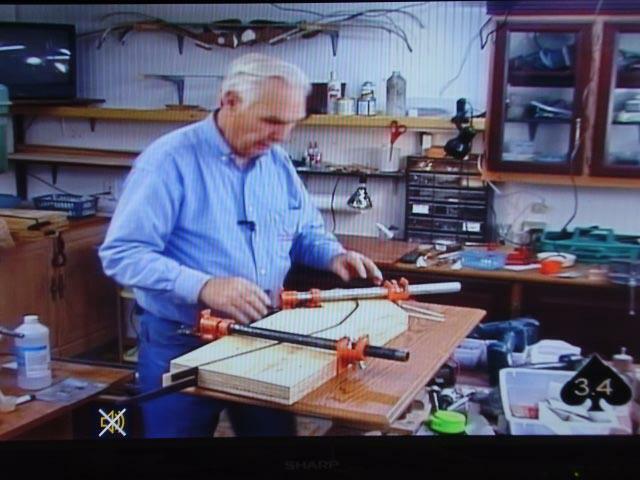 Official Site of Bud Hitt: Legendary designer of the Black Ace Recurve Bow. 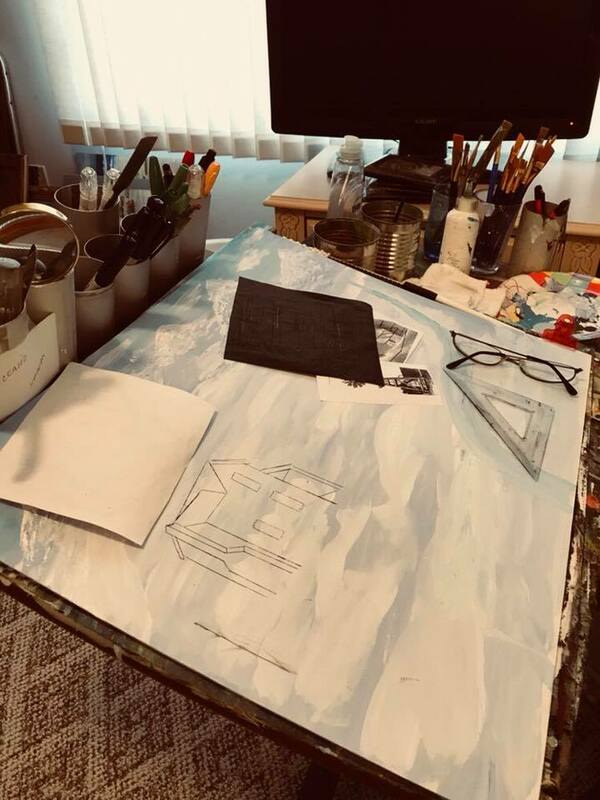 Welcome to the official site for information regarding Otis "Bud" Hitt, the legendary Black Ace Recurve Bow designer out of Archbold, Ohio. 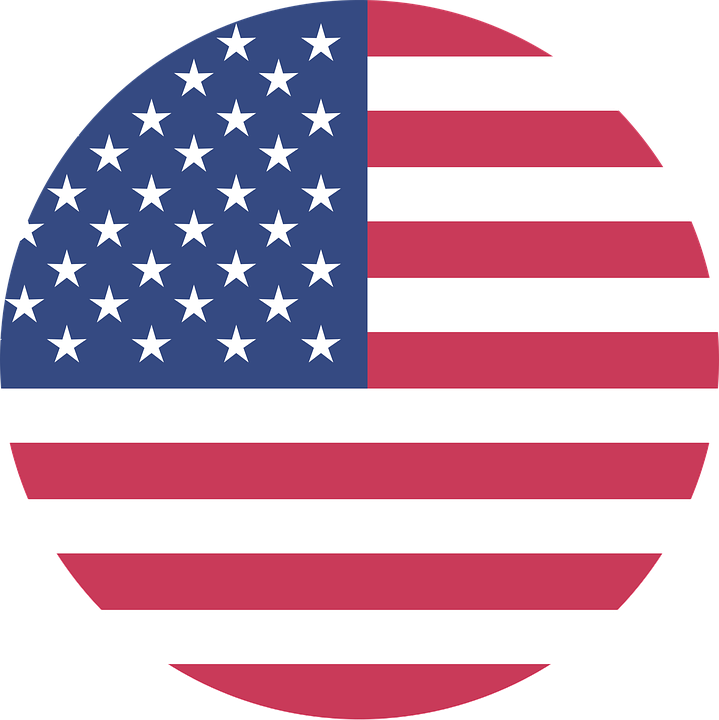 This is a family owned website business and the creator is the Grandson of Bud Hitt. Here we will be giving you the history of the Black Ace - where our name originates from! First, want to apologize for this update, as it is long overdue. Time goes too fast. Gertrude passed away February 2nd, 2017 at the young age of 89. Bud missed his "sweetie" everyday, as they were married for 70 years! He went to his final resting place on November 22nd, 2017 at the wise age of 92. 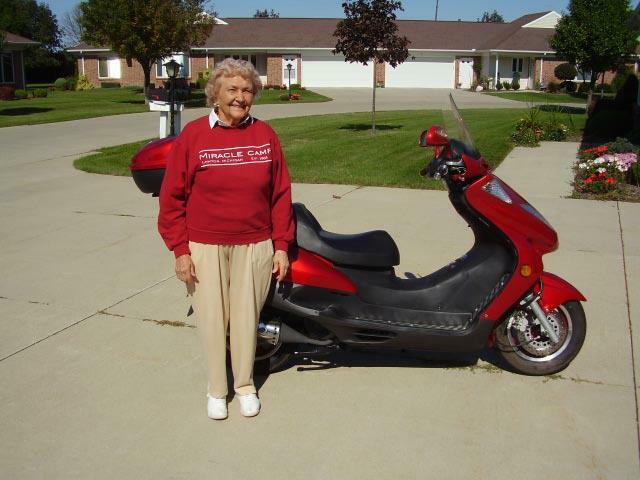 Classic Gert, she loved her Miracle Camp sweatshirt! 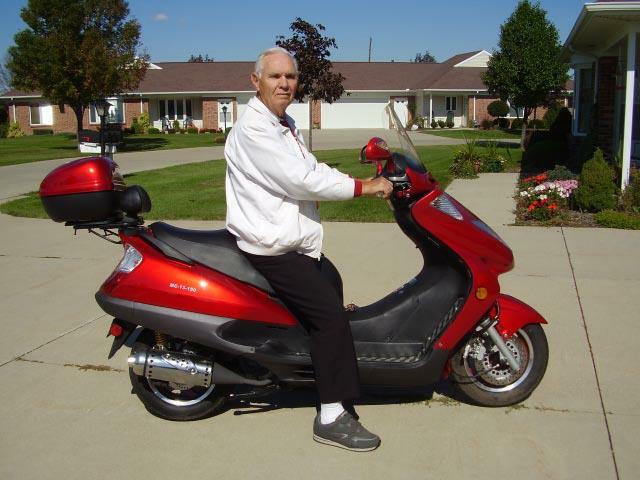 ... and Bud loved his scooter! This area will be dedicated to providing you information, history and the story of the legendary Bud Hitt. At some point we may be providing the oppurtunity for you to own a piece of history, by placing some of Bud Hitt's hand-made products available for purchase! Including the rare Black Ace Recurve Bow, and some of his paintings done in his golden years. Bud was always doing something in his workshop. 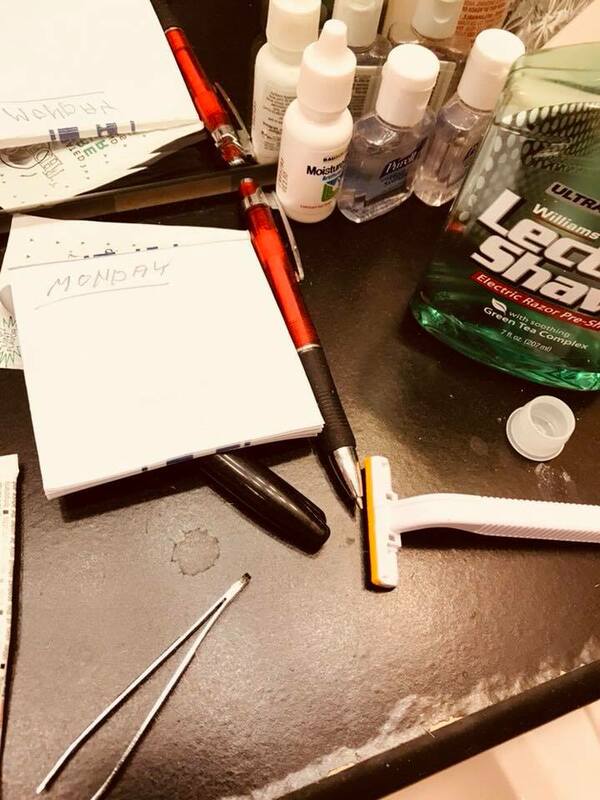 Speakig of, this was his "to do" list in the bathroom. There was nothing left to do, he had accomplished it all. Did you know? Bud and Gert were avid golfers. 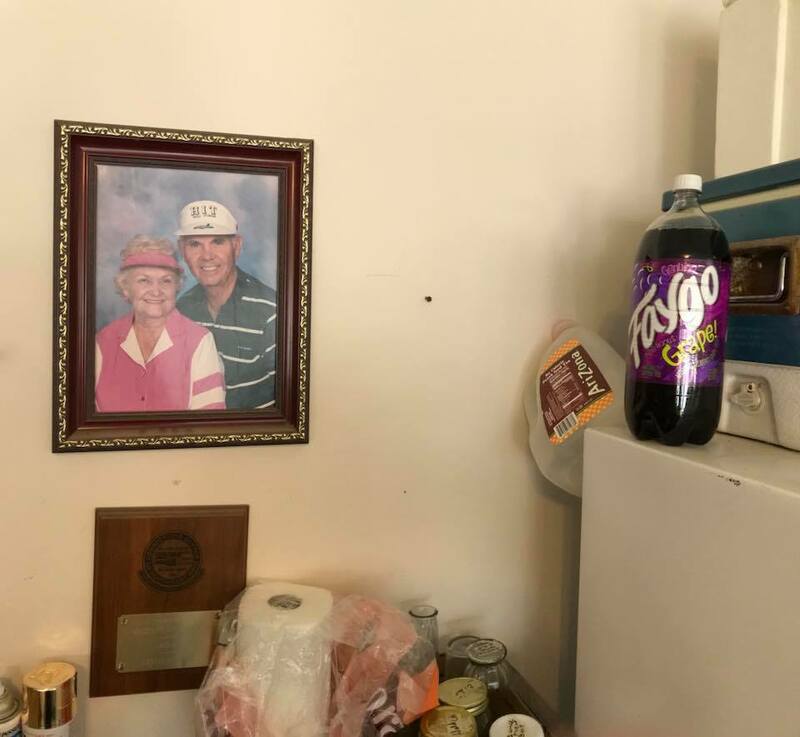 Also loved Faygo pop and always had a liter or two around! In Bud's golden years, after he was no longer strong enough to make bows, he picked up painting. 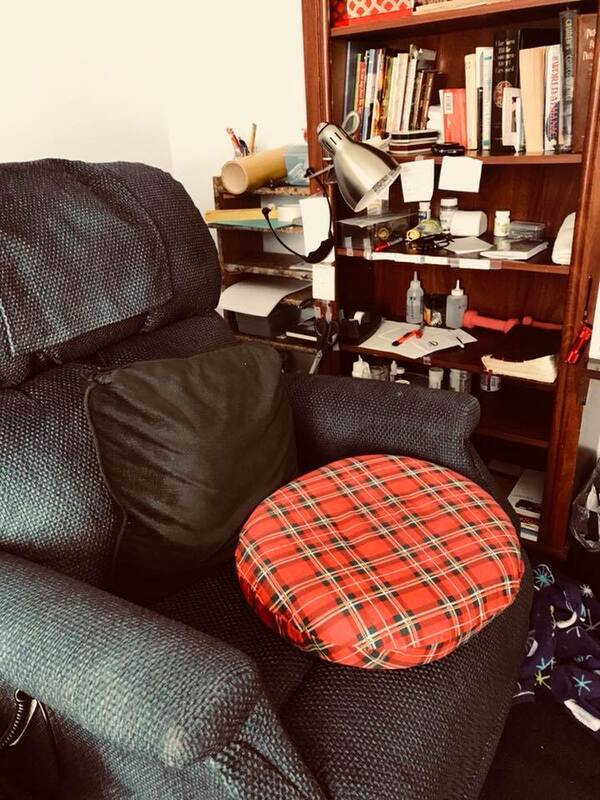 After a quadruple bypass heart surgery that he had in February of 2009, Bud's new bed was his lay-z-boy. 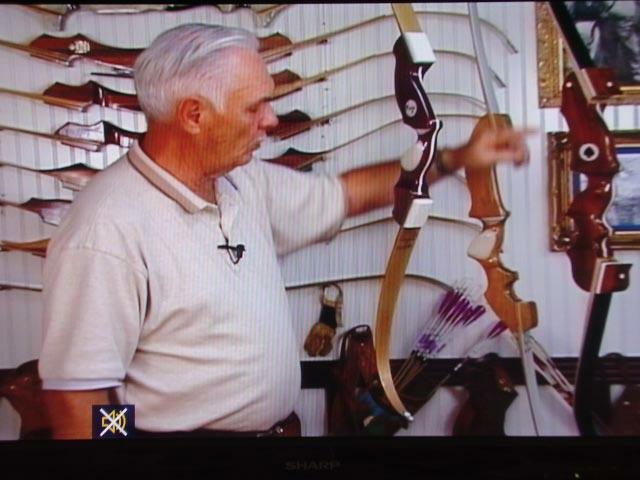 Back in the 90's, Bud made an instructional video on how to make a recurve bow from start to finish. It was done by a local production company out the town he lived his entire life, Archbold. The video came with design templates for building the riser and limbs. You get your hands on a copy of this very rare video set, don't ever let go! 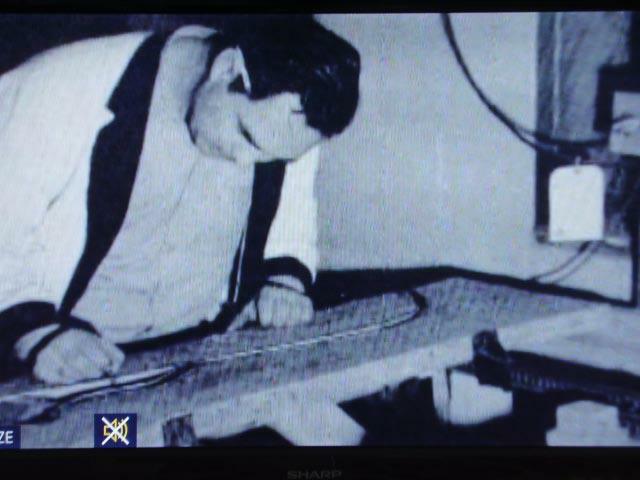 Screenshot from the rare instructional video, showing Bud making a bow. 30 years earlier, Bud making the same style of bow in the 60's. Bud showing off his bows in the video - some as old as his daughters! Most of Bud's bows were made back in the 60's and 70's, out of a little workshop in his hometown. 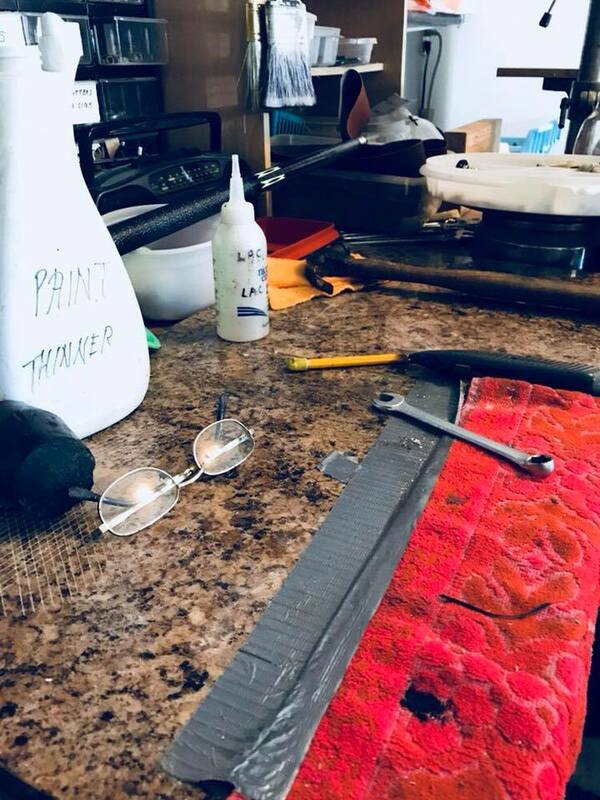 When he finally hung up the bow business, he moved on and started making trophies... which is still in business to this day, ran by his eldest daughter's family! He got the hunger for bows again once he retired in the 90's, and started making bows here and there, all the way up to his last day. Most of the bows went to collectors or his family during his final years. In fact, he made a bow for each one of his grandchildren in the early 2000's. You find a bow made by Bud in this era, you have found a collector's item! 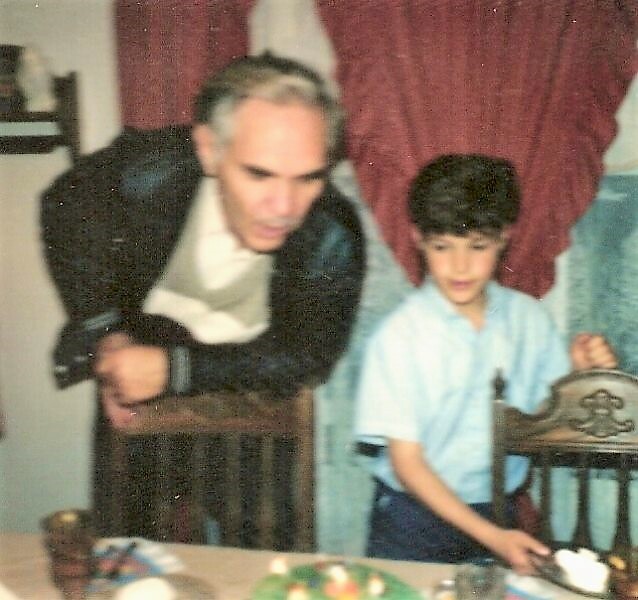 1989 Bud with his grandson "Danny" (Black Ace Design owner). Bud and Gertrude would be thrilled to know your interest. They both loved speaking with people and especially sharing their testimony and bows!